Now I know I'm definitely going through something. I've never been so into jewelry and skirts/dresses as I am these days. Maybe it's just a phase. But before it passes maybe I can sneak in this ear cuff. I haven't been into the ear cuff trend because crystals aren't really my thing, but this is just casually perfect. Plus it's 24K gold plated sterling silver, which is ideal for sensitive ears like mine. Get it here. so in love with this!... 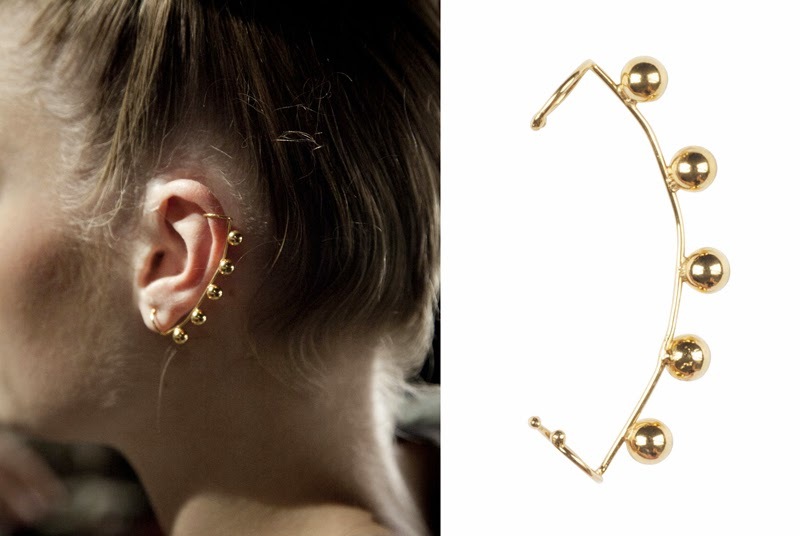 of all the ear cuffs i have seen, this is by far the best. woaw, that's like super pretty.